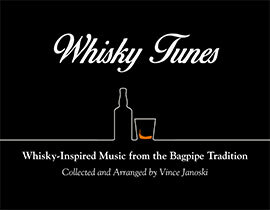 Bagpipes, and the accessories that go along with them, have changed little over the last 100 years or more. The way we set up and care for our instruments today is nearly the same as what G.S. MacLennan did back in his heyday. 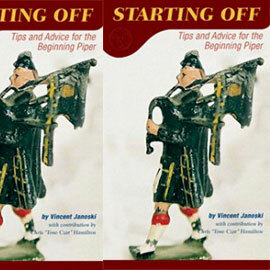 But there are a few additions to the modern bagpipe setup that have slipped their way in to become a standard part of the tradition—and vastly improved the piper’s life in the process. 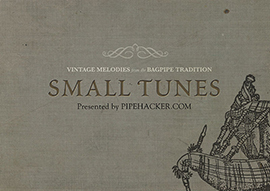 If you’ve been playing Highland bagpipes at all, it’s likely you’ve got a “chanter cap” or, what is essentially a “mock stock” to put over the reed when you pack away your instrument. These items are a boon to the longevity and performance of your chanter reed. An even bigger boon to chanter reed performance is the chanter cap–humidifier combination that many pipers swear by. Keeping a good reed moisture-free using something like the Chanter Cap Reed Dryer is OK for preservation, but not so much for active playing. It is actually a good thing to have some amount of moisture in the reed to keep it performing consistently. 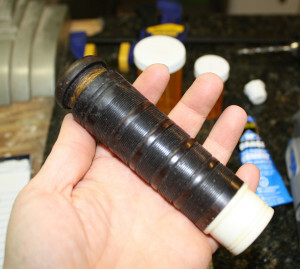 The dry-wet-dry cycle a chanter reed typically goes through will do more to degrade a reed over time than any amount of moisture the reed is exposed to. Keeping the reed slightly humidified at a level that prevents radical changes can actually extend the lifetime performance of a solid reed. Here is a handy DIY chanter cap and reed humidifier combination that should keep your good reeds staying good for a long while. 1. Acquire your materials. Old drone stocks are one of those things that no one thinks about but are always bouncing around in old piping gear. Who has the heart to throw them out? I bet if you ask your bagpiping friends, one or two of them probably have a spare or one that has cracked and been cast aside. Ebay.com is also a great resource for finding something like this. The one used for this project had a slight crack at the base and was languishing on Ebay for a pittance. Ebay is also great if you’re inclined to splurge and purchase a full set of “bagpipes” of unknown origins, for under $100. You will then have spare parts for all manner of projects. “Water jewels” are small moisture absorbing gel desiccant beads that grow to enormous size after soaking in water. They can be acquired on Amazon.com or Ebay in bulk or in small quantities. They are literally cheaper than dirt. 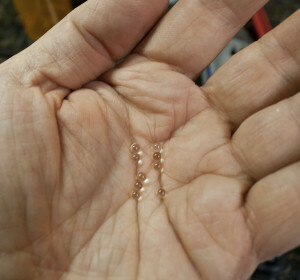 The small pouch in this project contains about 1,000 clear beads and was a bit more than $1. A lifetime supply for this project. Prescription pill bottles are a standard part of most everyone’s life these days. I’m sure you have a few of these orange plastic containers in the back of your bathroom cabinet with medicine that has long expired. 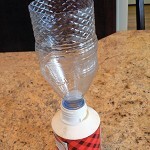 Clean out those bottles by soaking in hot water to disinfect and peel off labels. The bottles themselves are not recyclable so, reusing them for a project like this is better than sending them to the landfill. 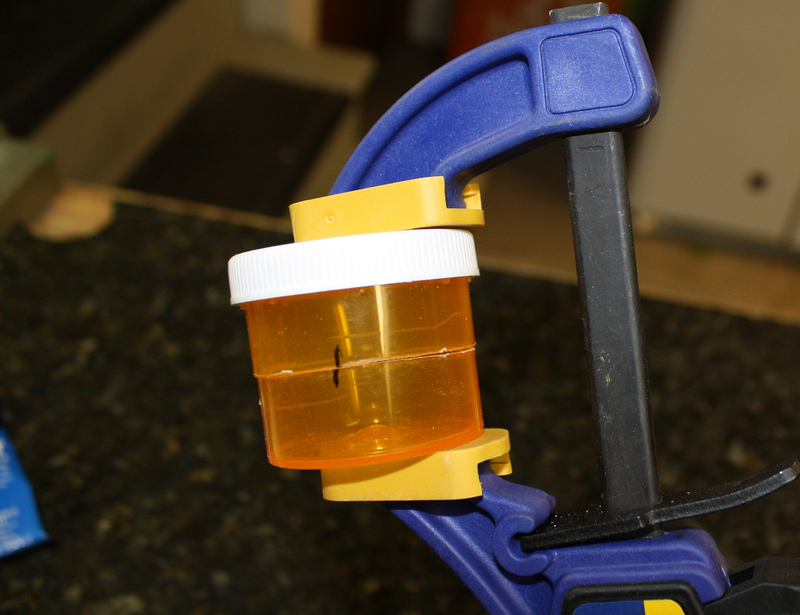 Make sure you dispose of any old medication properly. Deburr and sand the open lip edges of each piece to be as flat and smooth as possible. 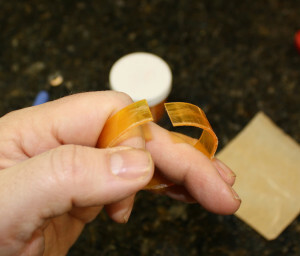 Make a straight cut through to open the 1/2-inch band. 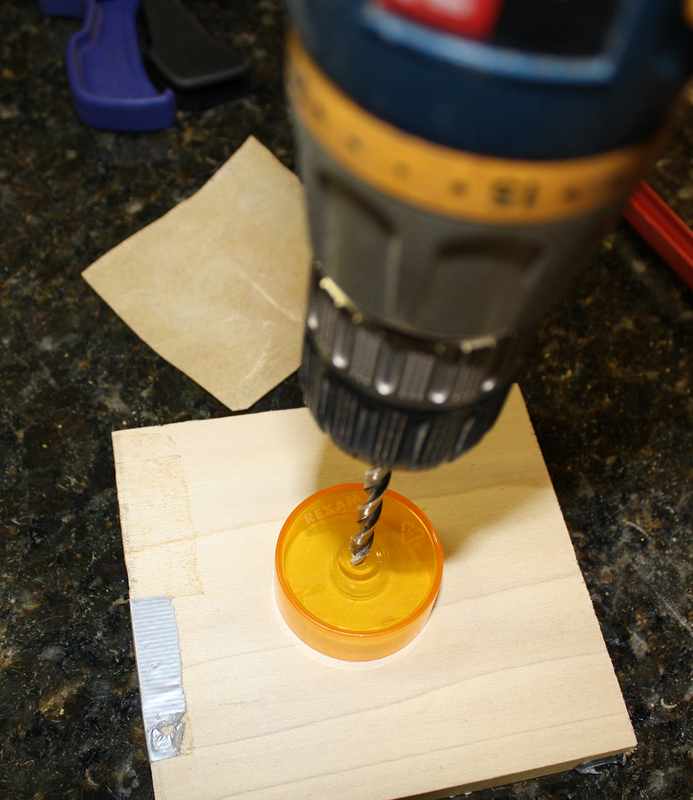 Drill a 1/4-inch hole through the PVC plug. 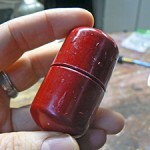 (Some plugs will be hollow to the base, some to the top. Drill through whichever end is needed.) Debur hole. Test plug in bulb opening of old drone stock. If it is too small, great. 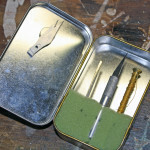 If not, use the metal file to evenly file down the threads until you get a fit. Drill a 1/4-inch hole through the center of the base of each pill bottle part (large and small). Debur and clean up holes as best you can. Measure down 1/4 inches from the lip of the small pill bottle portion and mark with a dot. 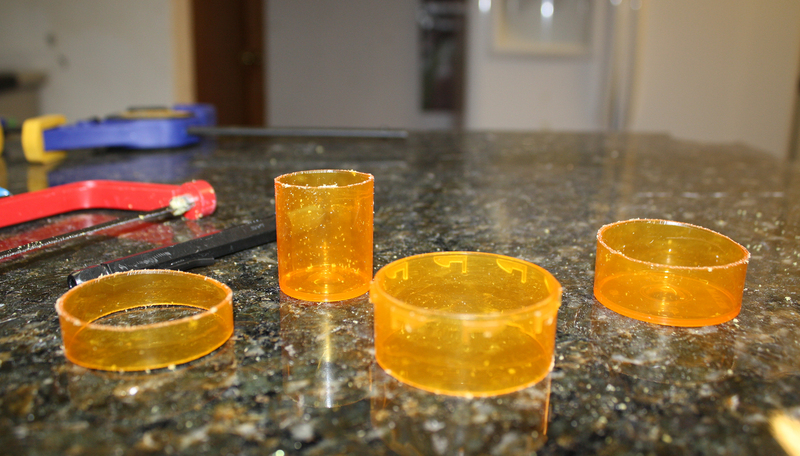 Make similar dots about 1/2 inches apart along the circumference of the pill bottle. 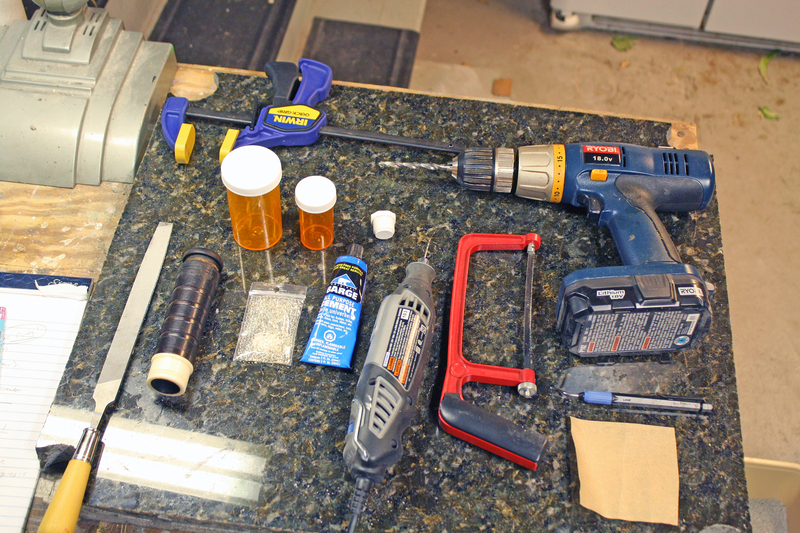 Use the small bit and the Dremel tool to drill small holes and “perforate” the pill bottle at each of these marks. 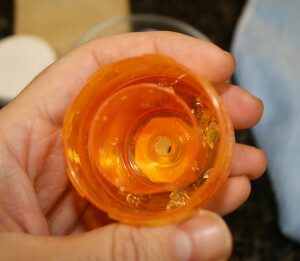 Clean out holes until they are free of debris. These need to be clean and clear. 3. Assemble your humidifier chamber. 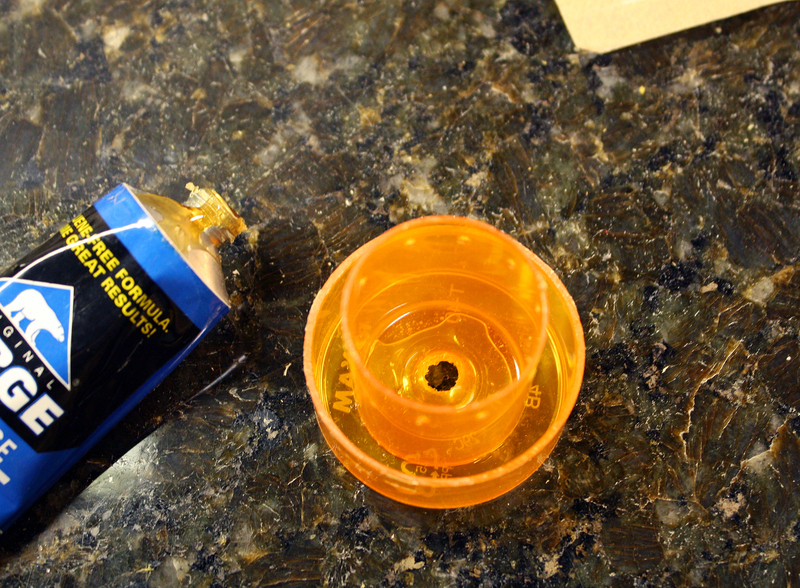 Put a small bead of cement around the outer base of the small pill bottle portion and bond in place inside the larger pill bottle bottom. Line up the holes you drilled earlier in each base and let dry. 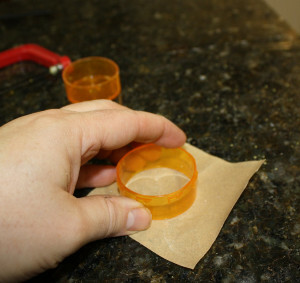 Place large cap on top portion of large pill bottle. 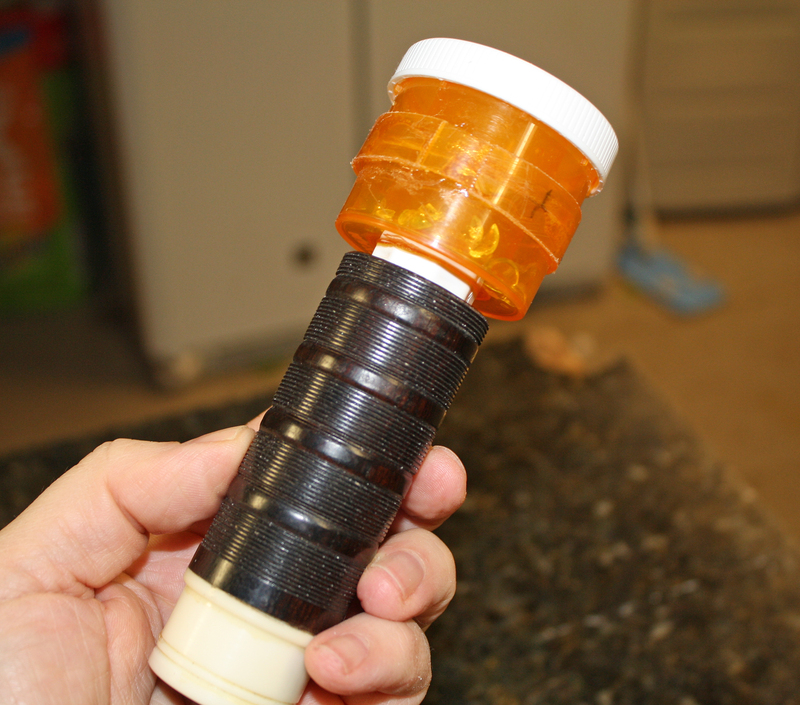 Meet edges of upper and lower portion of large pill bottle. Your cuts may not allow the two parts to meet flush. Rotate the parts until you have a good alignment and secure in the adjustable C clamp. Place a thin bead of cement around the seam where the two parts meet. Open the “split” band and place around to cover the cemented seam. (There will be about a 1/2-inch of open seam that the band will not cover. 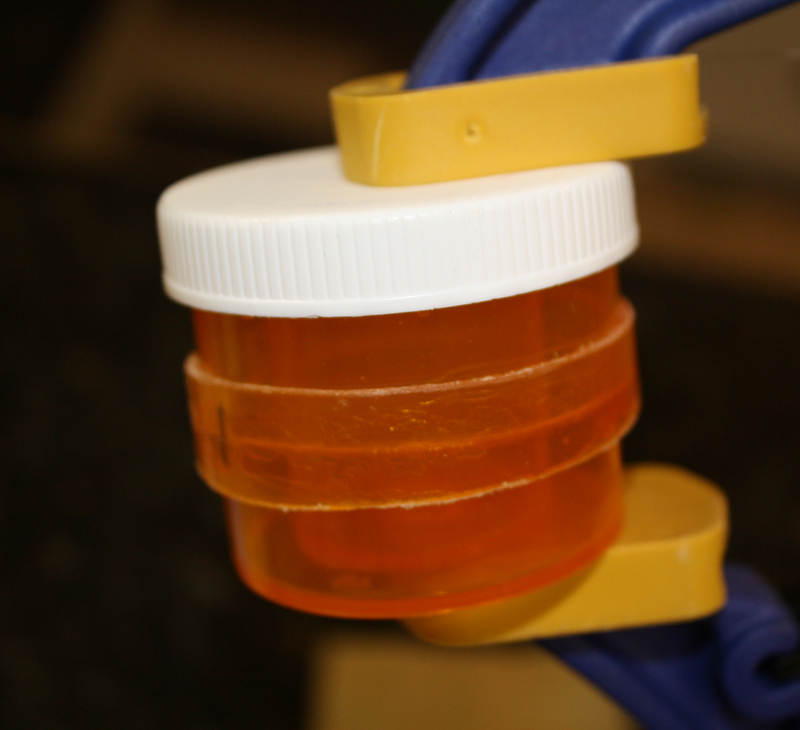 You can cut a small piece from the pill bottle excess to fill this space if you’re finicky.) 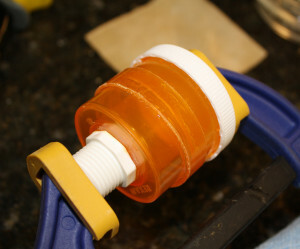 Let bottle parts dry in the clamp. 4. Prepare your dry stock. 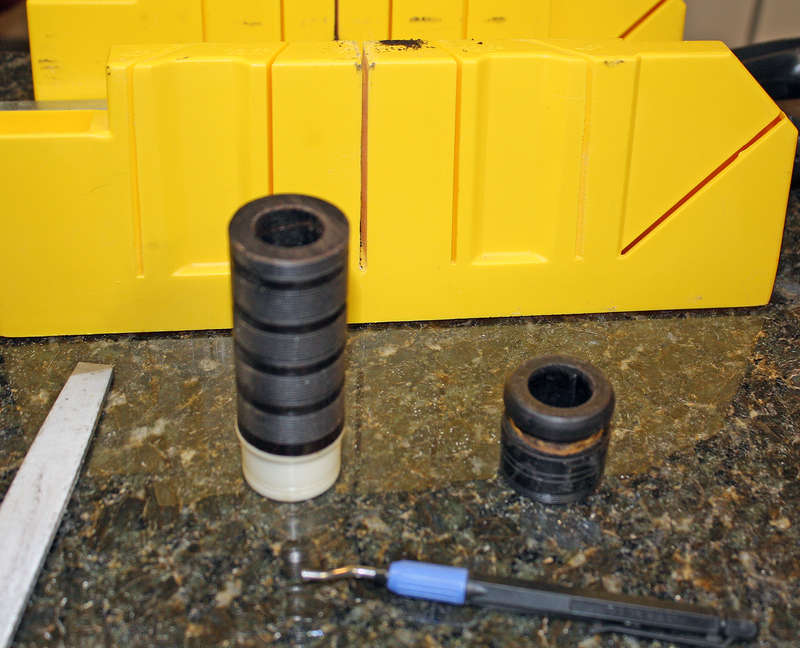 Measure at least 4 inches from the ferrule end of your spare stock. Use a basic mitre box to make a clean cut. 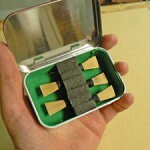 Clean edges of cut with file or sandpaper. 5. Charge your humidifying agent. Take two to three beads of the water jewels and drop them into a small bowl of water. 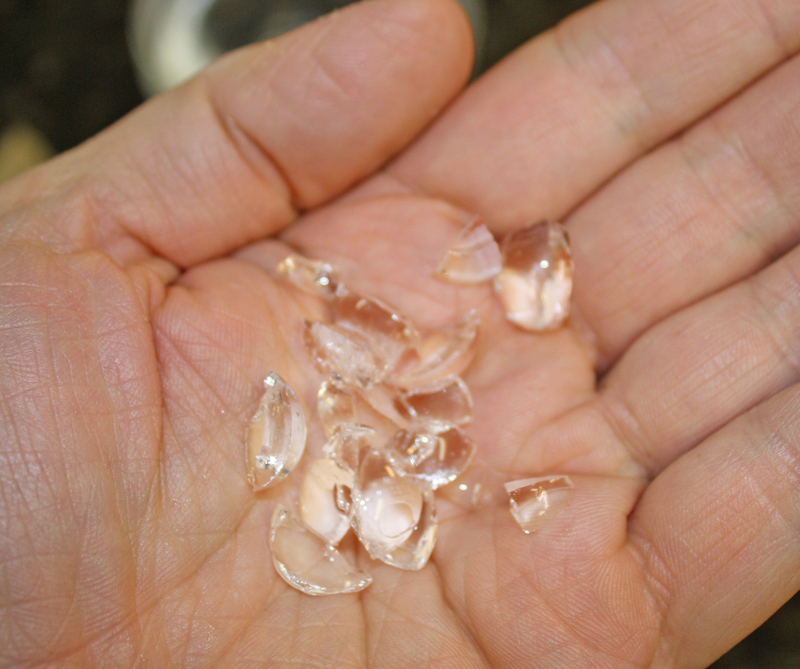 When they have expanded fully (about 1 to 3 hours), remove the gel from the water and cut into small pieces with an X-acto knife. 6. Assemble your handy humidifier. 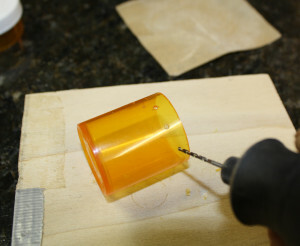 Carefully place the gel pieces in the outer chamber of the pill bottle assembly and distribute evenly. Use a popsicle stick to move them around and get them to the bottom. Screw on the top of the pill bottle. Hemp the threads of the PVC plug enough to get a tight fit into the top opening of your stock. 7. Optimal balance achieved! 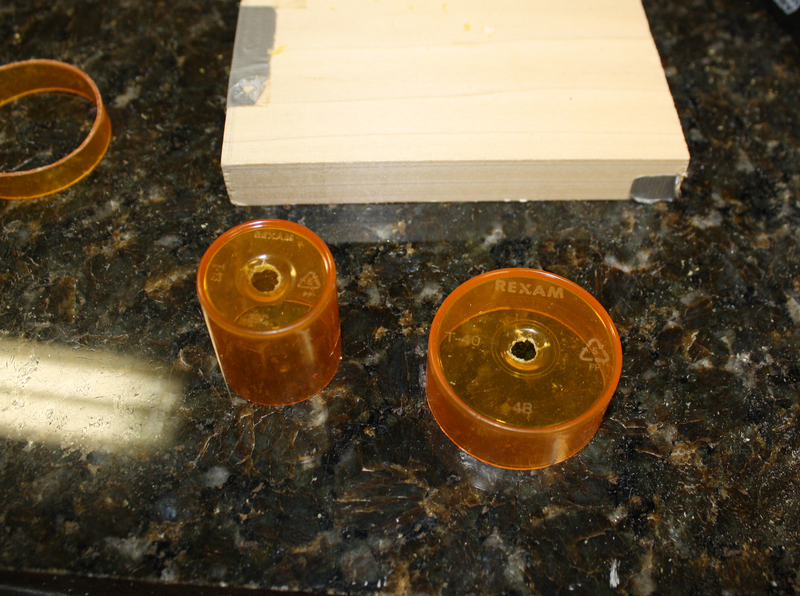 The charged gel pieces in the chamber will slowly evaporate their moisture. 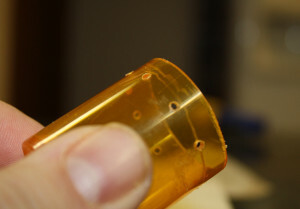 This humidified air will filter through the perforated inner chamber and down through the stock to your reed. The materials and conditions involved (cane of reed, wood of stock, tight seal) will provide optimal humidified air at all times. 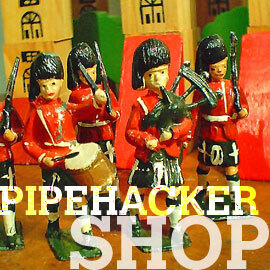 A couple of month’s testing has brought joy to this Pipehacker. It works like the proverbial charm. 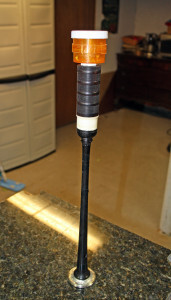 The reed is settled out of the box and stabilizes right away. 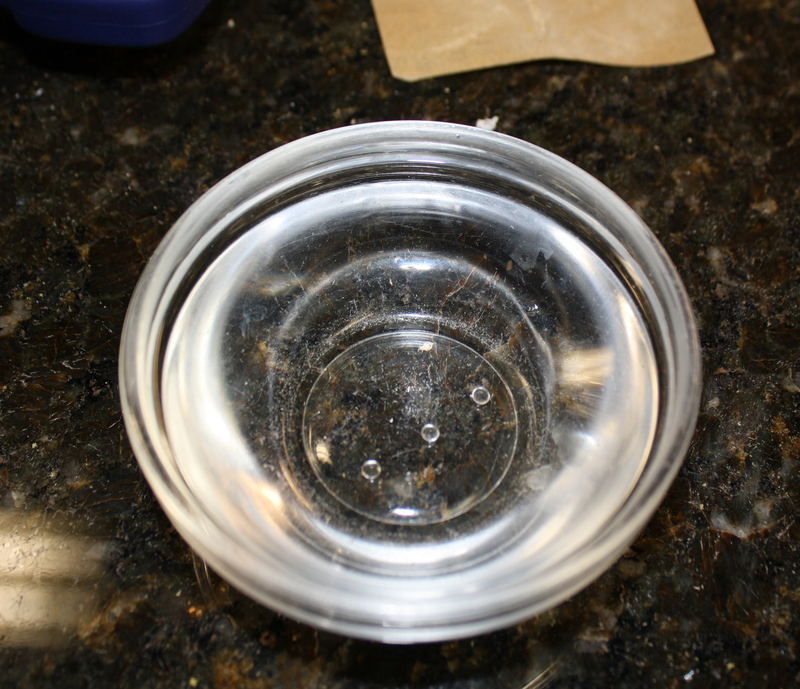 The amount of humidity can be adjusted by placing more or less charged gel into the chamber. Right now, one to two beads worth of material is plenty. 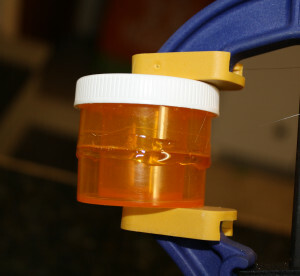 The gel is still charged months into use. Recharging will be as easy as dropping the pieces back into water to expand. 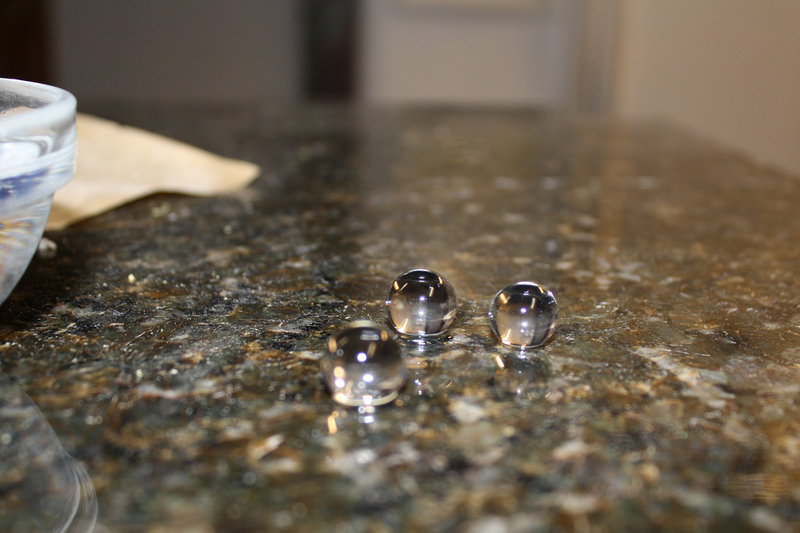 As a comparison, in open air, the full beads lose their moisture quickly and shrink back to their original dry size in three days time. 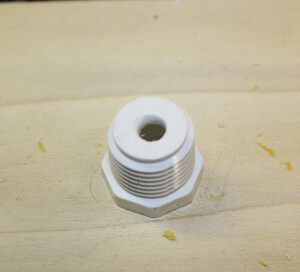 Would this work to add on to a generic reed cap? 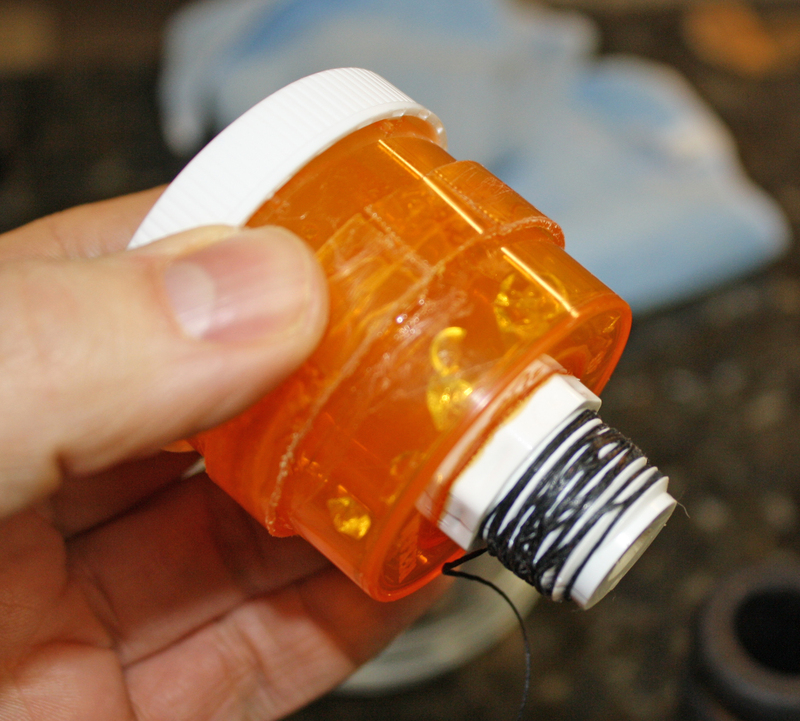 Just drill a large enough hole in the top of the cap (maybe even tap it to match the threads of the PVC plug) and put this on? It certainly would work indeed, Jim! I have always used wood caps though. 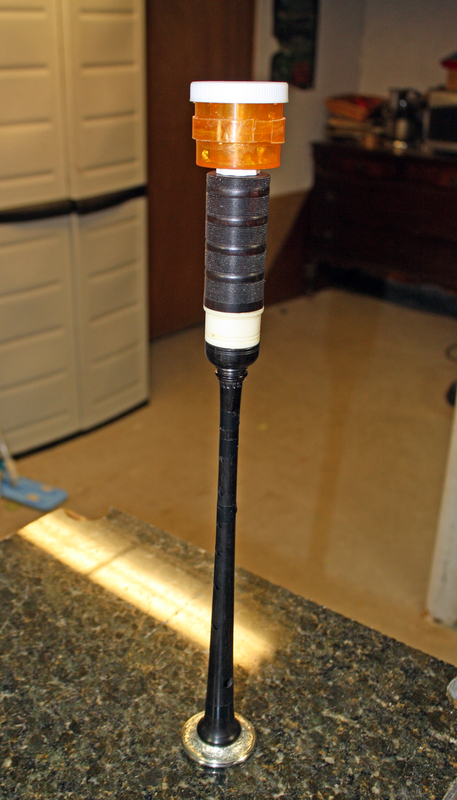 I like the idea of using a wood cap, mainly because it duplicates the conditions in the actual chanter stock. The wood of the cap also helps stabilize the humidity you’re introducing with this assembly since it will absorb some of the micro moisture. In a plastic cap, all that humidity can only go to one place: your reed. This might be avoided by reducing the amount of charged gel in the container. Worth a try!